iVAN – i-Vision i-Analyze i-Network is an online mini series hosted by former So You Think You Can Dance contestant Ivan Koumaev for movmnt magazine. 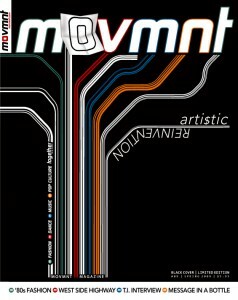 Movmnt magazine was co-founded by David Benaym and 2007 runner up Danny Tidwell. Covering Fashion, Dance, Music and Pop Culture as a lifestyle, movmnt, via iVAN, has an exclusive original look at one of the most popular TV show on television – ** Some explicit language.